An integral part of what makes the Awakened Heart community so magnificent is the myriad of diverse opportunities we offer for spiritual deepening and personal growth with like-minded people! All events are held at the BuzzWare Village Center unless otherwise noted. Each Wednesday evening, come clear your mind and renew your awareness of your unwavering connection with the Divine as you bathe in the depths of nothingness. 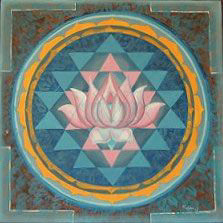 Each week a different licensed practitioner will take us for a gentle journey into the sacred silence. These evenings are free and open to beginners as well as those with a daily practice. Join us tomorrow night for another round of drumming and co-creation of the rhythms of the Spirit in our monthly Drum Circle. 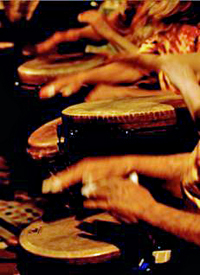 Loosely structured around three drumming sets, free-form drumbeats coalesce into a unified whole which flow, evolve and re-form into an myriad of unique and varied rhythmic expressions. Participate fully or relax and allow the rhythms to move through you for a deep meditative experience. Join us, regardless of drumming experience. Bring a chair or blanket, a drum or other musical instrument. Share in a collective rhythm which joins past, present and future, and connects body, mind and spirit; one drum circle at a time. Hosted Steve Johnson. Love offering is appreciated. Come dance, sing, empower & attune yourself through the rockin’ rhythm & sounds of the incredibly talented & energizing duo of Marcy Francis, & Jan Jeffries! Tap into your own dynamic ability to move your energy through rhythms & tones. Increase the productivity of whatever you do in your life. Learn how rhythm & sounds can be important to you in creating balance, as well as to reconnect to joy & happiness. 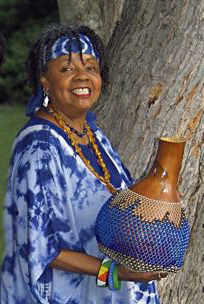 Along with the very talented Jan Jefferies, Marcy will use sacred gourds & other unique rhythm to help balance & clear your chakras & energy field. She will teach you how to heal yourself & download Love into your heart & mind from the inside out. Bring your own drums and rattles, or use our sekere and other sacred instruments! Do not miss this incredible and completely unique and joyful experience! Join us for an after service for a culinary creation of smoothies. Bring your favorite smoothie ingredients, a blender or mixer, and your favorite glass or smoothie container and prepare to mix it up! After our healthful smoothies, join us for a soulful stroll into the Arden woods to visit nature and perhaps a Faery House (who knows?) and enjoy the Spring. 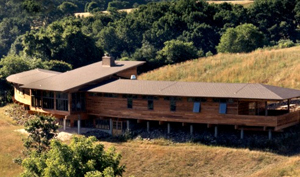 Join us for our annual overnight retreat at the lovely Ashland Nature Center. Dinner is provided Friday evening and breakfast is potluck on Saturday morning, so bring a breakfast dish to share! 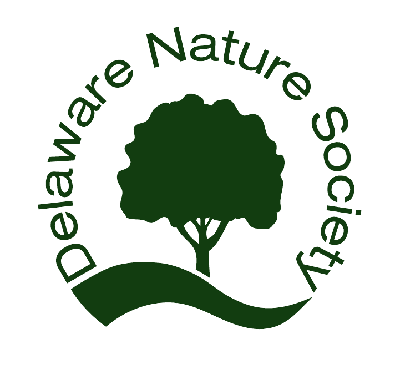 This year's programs will include (weather permitting) outdoor hikes to observe the wildflowers and animals that live in the woodlands, a star gazing class and a beginners introduction to archery. A meditation experience will be held Friday evening as well. Always great fun and a wonderful time to enjoy fellowship and food in a beautiful setting.